When you thinking about the growth of a business, it is natural to think about growth subjected to the profit margins of that business. However, a business is a body of the employee's all working for the greater good, profit, and well being of that establishment. Without each and every individual that is employed at a business, there would be no business. Now, this is not to say that some roles are not more pivotal than others within the company. However, as a whole, the body of a business and their employees, their proficiency and efficiency are all factors into how they are able to work together to make things run cohesively. It seems pretty cliche that every company should have a mission statement, but they should. What does your company stand for? Why have you taken your hard work, blood, sweat, and tears and poured it into this particular thing for? Why does this mean so much to you? Whatever answers you find in those questions leisure purpose. What is the outcome you would like to see with your business? It could be anything from a makeup brand that was created for the purpose of making women feel beautiful, or meal prep plans to help people live a longer and healthier life; knitting blankets to keep warm because it reminds you of grandma could incite a passion for knitting. If you knit blankets, your purpose is to keep everyone warm for an example. Once you have found a mission and purpose, you have to believe in it. No one will believe in you if you don't believe in yourself first. This is why a mission statement is important, it gives the purpose. In return purpose gives belief. Knitting blankets were used as an example of a purpose. Taking that a step further, imagine that a proceed of all of the sales went to you or grand mom's favourite charity to help families keep warm over the winter. It would give you the purpose to want to make and give the best quality blankets to your customers, in hopes that they would be happy with their purchase and continue to buy. The outcome would be a thriving business while continuing to assist families in need. It is effortless to believe in something that is tied to a strong purpose that you believe in. When you take the time to personally develop your employee's and make them feel good about their job, they perform better. Offering incentives as a way of showing thank you for the work, time, and effort they have put into your company is always a morale booster. Also, offering employees job security with for benefits for health care and retirement is huge when trying to obtain the loyalty of good employees. There are many insurance companies that offer optimal healthcare benefits, term insurance plans, accidental damage repairs and more that are specifically designed for the business and corporate employees. Make a great use of such corporate offers and provide additional benefits to your employees to show that you care and win their loyalty. These are the some of the things that make a huge impact on a company. If employee's feel disgruntled for whatever reason, they are not motivated to work and be productive within your establishment. Therefore, the personal development of employees can be considered more of a priority than profit and revenue. Having the cutting edge technology is also strong leverage in a business. Having outdated technology can cause things to be inefficient and stagnant within in an establishment. Productivity may not flourish at its highest potential because of outdated equipment and software technology. Paying to invest in the leading technologies for your business' genre could mean all the difference in being first on the Forbes list or not considered at all. So far, all the things that were stated prior to investment, are actual investments in a business. 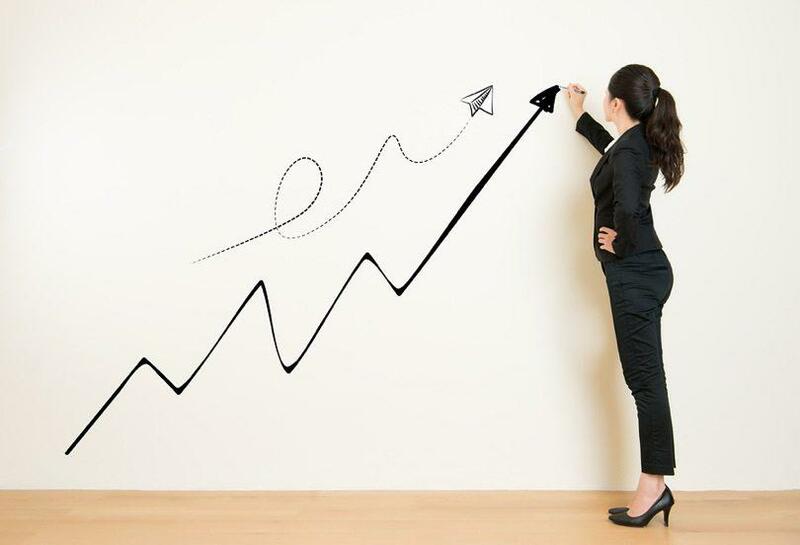 Business owners who properly invest in their business' and employee's tend to see better growth within their company, yielding better profit margins for the product offered or service rendered. It is like anything that you desire to have you must maintain it. Life is ever changing and evolving, so it should not be expected that things will stay the same and you'll never have to reinvest after your initial investment. You are going to want to invest in your business as well as your employees as often as needed to maintain a thriving company. Stay in the know about what is going on in your field of business. Have a thorough knowledge of what specifically your company services or offers (No one wants to patronize a company that doesn't know their own stuff). If selling an insurance is your business, you need to know everything there possibly is about it and so does your employees. Make it a priority to know when new technologies have emerged. As well as, new paths and trends your industry is starting to sway to. You don't want to be left out of the loop while everyone else is capitalizing on new innovations. Knowledge is power in any aspect of life. Therefore, being well informed on all the niches of your industry is only to keeping your finger on the pulse of the industry to either stay ahead of the game or at least in the running. Confidence is a strong standing point for any company no matter big or small. No matter what services are to be sold or rendered, no one will take you or your company seriously if you lack the confidence to show that you believe in yourself and your company. (refer to the mission statement) Find out your purpose, then make that your mission. Your mission and purpose should provide you will all the confidence in the world to go out and make the impact that you want your company to have. With that said, there are points in business that every employer should practice that are not quite often touched upon. Moreover, these points have nothing to do with increasing the margin for profit although if implemented properly it is possible for profits to increase. These points touch base with the soul of the company and what the company is itself. The employees of the company who play a large hand in if the business runs productive or counterproductive. These key points that have been made should be something as an employer, you ask yourself are you implementing them and as an employee, you'll ask is this the type of environment being provided for me?